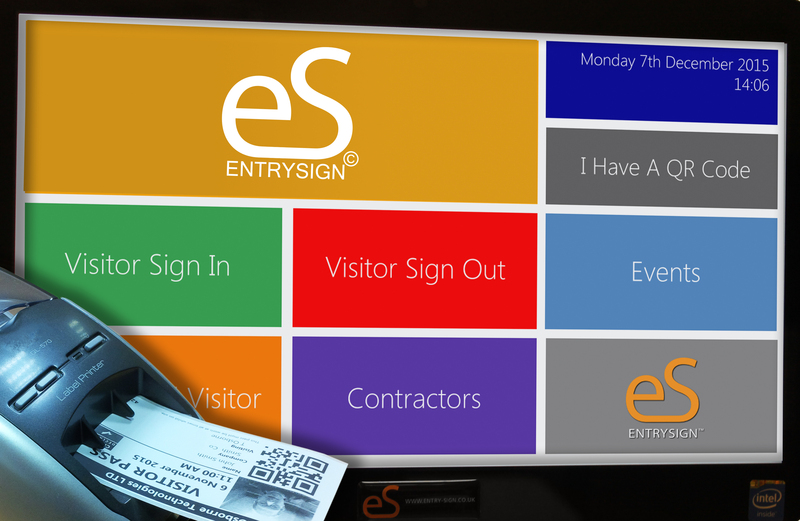 EntrySign™ is a unique and simple to use touch screen signing in system that will revolutionise the way you welcome people to your building. EntrySign™ brings together all of the paper based health and safety and auditing systems that you will currently use in to one unique and easy to use digital system that provides you with live, up to the minute data and puts a wealth of information and customised reports just a click away. The EntrySign™ system has many benefits and features designed to enhance and improve your health and safety procedures and has received universal praise from large companies and public sector organisations through to academies, colleges and primary schools. Access to live information from any computer. Pre-book visitors and print visitor badges with one touch. Instant fire evacuation lists with one click. Authorised absence passes for pupils. Customise reports to look for behaviour trends and patterns. Access staff time sheets with one click. To find out more about Entry Sign please contact us now to arrange a free demonstration.